Major competition ensues between Midtown Sound artists Take 3 and Noah Brooks when they fight for a coveted track produced by one of the industry’s hottest producers. Blasts from the past are in full effect when Paola (guest star Alani “La La” Anthony) and Jahil explore their complicated history, Noah and Alex revisit their time together and Derek invites a date to the salon’s reopening celebration. Cast: Queen Latifah as Carlotta Brown, Benjamin Bratt as Jahil Rivera, Jude Demorest as Star Davis, Ryan Destiny as Alexandra, Brittany O’Grady as Simone Davis, Amiyah Scott as Cotton, Quincy Brown as Derek Jones, Lawrence as Miss Brooks and Luke James as Noah Brooks. Guest Cast: Evan Ross as Angel Rivera, Elijah Kelly as Andy, Lance Gross as Maurice Jetter, Alani “La La” Anthony as Paola, Caroline Vreeland as Mary, Juanita Jennings as Grandma Ruby, Matthew Noszka as Jackson “Jax” Ellis, Camila Perez as Mariela, and Imani Lewis as Karen. Air Date: Wednesday, April 18 (9:00-10:00 PM ET/PT) on FOX. Rapper Quavo is recruited to join Midtown Sound, which causes drama with Noah, who is still harboring ill feelings towards him from their past. Meanwhile, secrets about Angel’s family are revealed when his mother, Paola (guest star Alani “La La” Anthony) returns. 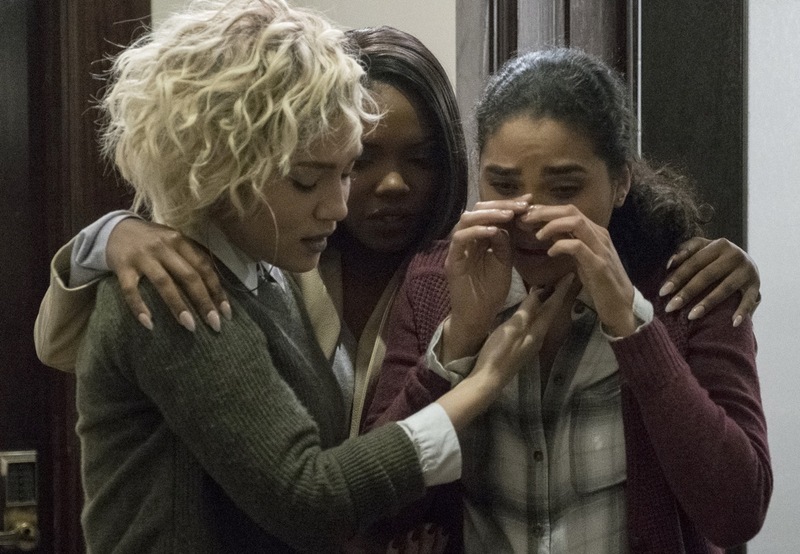 Then, Arlene’s twin sister, Charlene (guest star Nealla Gordon), visits Atlanta to learn the truth about her sister’s death, and Star has a revelation about her mother’s final days. 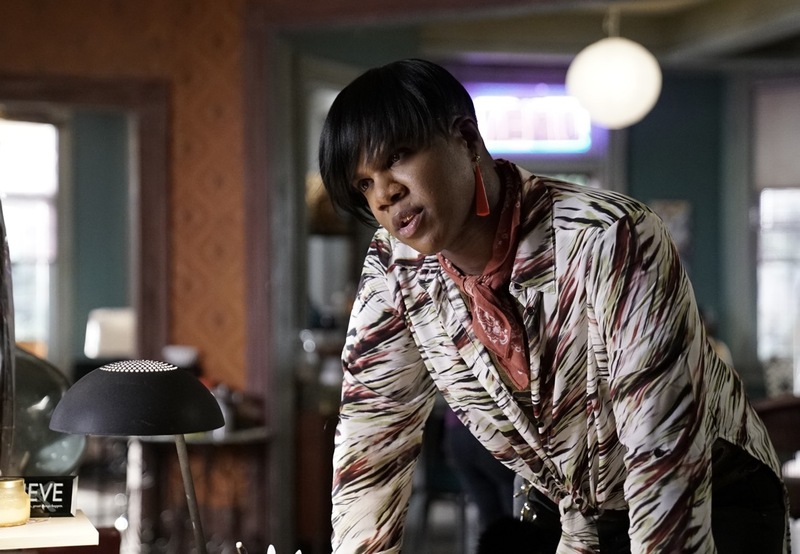 Cast: Queen Latifah as Carlotta Brown, Benjamin Bratt as Jahil Rivera, Jude Demorest as Star Davis, Ryan Destiny as Alexandra, Brittany O’Grady as Simone Davis, Amiyah Scott as Cotton, Quincy Brown as Derek Jones, Michael Michele as Ayanna Floyd, Stephen Dorff as Brody Dean, Miss Lawrence as Miss Brooks and Luke James as Noah Brooks. Guest Cast: Evan Ross as Angel Rivera, Elijah Kelly as Andy, Lance Gross as Maurice Jetter, Nealla Gordon as Charlene, Quavo as himself, Alani “La La” Anthony as Paola. Air Date: Wednesday, April 11 (9:00-10:00 PM ET/PT) on FOX. Charles (guest star Richard Roundtree) makes a decision about Noah’s upcoming tour that leaves Take 3 in a tough spot. Jahil remains committed to doing whatever it takes to make sure Andy (guest star Elijah Kelly) and Angel (guest star Evan Ross) get to the top. 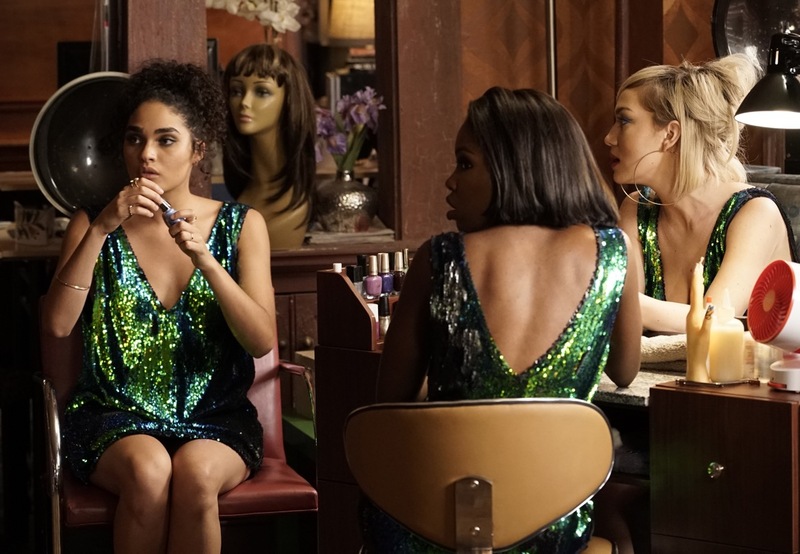 Meanwhile, Ayanna returns and drops a bombshell that will have a major effect on Simone’s future, and Carlotta’s past is relived through one of the girls. Guest Cast: Evan Ross as Angel Rivera, Elijah Kelly as Andy, Lance Gross as Maurice Jetter, Richard Roundtree as Charles Floyd, Juanita Jennings as Miss Ruby, Justin Marcel McManus as Omari, Caroline Vreeland as Mary, Patti LaBelle as Christine Brown, Brandy Norwood as Cassie Brown. Air Date: Wednesday, April 4 (9:00-10:00 PM ET/PT) on FOX. Carlotta is devastated after the fire that resulted in someone’s death. As she tries to pick up the pieces, her mother, Miss Christine (guest star Patti LaBelle), and sister, Cassie (guest star Brandy Norwood), unexpectedly show up. Meanwhile, Star struggles to hide her jealousy and feelings for Noah, while Gigi (guest star Keke Palmer) decides to do “Take 3” a favor that could put them back on the map. Guest Cast: Evan Ross as Angel Rivera, Elijah Kelly as Andy, Lance Gross as Maurice Jetter, KeKe Palmer as GiGi Nixon, Richard Roundtree as Charles Floyd, Juanita Jennings as Miss Ruby, Justin Marcel McManus as Omari, Caroline Vreeland as Mary, Patti LaBelle as Christine Brown, Brandy Norwood as Cassie Brown. Air Date: Wednesday, March 28 (9:00-10:00 PM ET/PT) on FOX. With the showcase finally here, it’s time for the Midtown artists to put all their hard work to the test and prove they have what it takes to win. In the process, relationships are tested, ruined and sparked. Meanwhile, Carlotta’s salon is under fire in more ways than one, turning everyone’s world upside-down. Cast: Queen Latifah as Carlotta Brown, Benjamin Bratt as Jahil Rivera, Jude Demorest as Star Davis, Ryan Destiny as Alexandra, Brittany O’Grady as Simone Davis, Amiyah Scott as Cotton, Quincy Brown as Derek Jones, Michael Michele as Ayanna Floyd, Stephen Dorff as Brody Dean and Luke James as Noah Brooks. Guest Cast: Elijah Kelley as Andy, Evan Ross as Angel Rivera, Lance Gross as Maurice Jetter, Keke Palmer as Gigi, Paris Jackson as Rachel, Jack Yang as Elliot, Kareem Grimes as Omari, Imani Lewis as Karen, and Richard Roundtree as Charles Floyd. Air Date: Wednesday, December 13 (9:01-10:00 PM ET/PT) on FOX. Although Carlotta enjoys spending more time with Maurice, her family remains her No. 1 priority and she’ll let nothing stop her from protecting them. Meanwhile, things don’t go as planned during an interview with radio hosts Headkrack and Da Brat, which Midtown had arranged for its artists to promote the upcoming showcase. Also, Elliot is eager to take his relationship with Cotton to the next level, Jahil realizes he and Brody have a lot more in common than expected and the love triangle drama between Noah, Alex and Star intensifies. Guest Cast: Evan Ross as Angel Rivera, Elijah Kelley as Andy, Caroline Zickerick as Mary, Jack Yang as Elliot Wu, Imani Lewis as Karen, Lance Gross as Maurice Jetter and Brook Todd as Nick. Air Date: Wednesday, December 6 (9:00-10:00 PM ET/PT) on FOX. 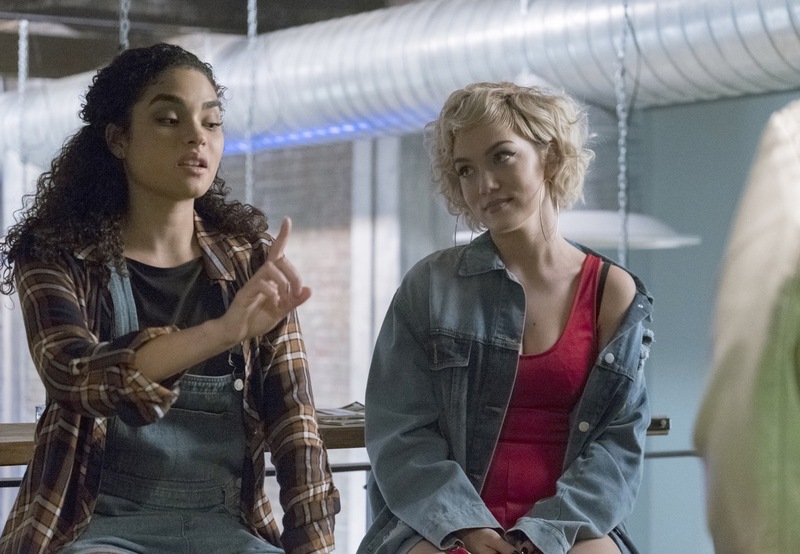 Star’s jealousy finally kicks in when Noah and Alex begin spending more time together, both inside and outside of the studio. Ayanna throws a curveball, moving the showcase date up – giving everyone only two weeks to prepare. Worried about Cotton, Carlotta and Jahil team up to get to the bottom of her recent change in behavior. Meanwhile, Maurice (guest star Lance Gross) steps in to help Noah get back on his feet, when he notices him struggling to catch a break. Guest Cast: Evan Ross as Angel Rivera, Elijah Kelley as Andy, Lance Gross as Maurice Jetter, Annie Jacob as Soraya, Teyana Taylor as Joyce Sheree, Paris Jackson as Rachel and Don Lemon as himself. Air Date: Wednesday, Nov. 29 (9:00-10:00 PM ET/PT) on FOX. With all of the flack the label is catching from the tragic police incident, Ayanna must quickly restore Midtown’s image. Desperate for a spot in the showcase, the girls work on convincing hot recording artist Joyce Sheree (guest star Teyana Taylor) to sing a featured verse on one of their songs. Carlotta continues to fight for custody of Simone, a misleading photo of Noah and Alex goes viral and Cotton juggles two relationships. Meanwhile, Brody’s motivation for his return to Atlanta is revealed. Guest Cast: Nealla Gordon as Arlene Morgan, Jack Yang as Elliot Wu, Justin Marcel McManus as Omari, Lance Gross as Maurice Jetter, Richard Roundtree as Charles Floyd, Keke Palmer as GiGi, Annie Jacob as Soraya and Teyana Taylor as Joyce Sheree. Air Date: Wednesday, Nov. 15 (9:00-10:00 PM ET/PT) on FOX. Ayana is quickly reminded of the tremendous pressure she is under to make her family proud, when her father (guest star Richard Roundtree) – a legendary music label executive – pays a visit to Midtown. Alex continues to be haunted by her lies to Derek; Star and Simone differ on how best to deal with Brody’s mysterious return; and Noah faces a tense encounter with the police during an event thrown by the label. Meanwhile, Jahil works on a plan to debut a new duo he’s discovered, featuring his nephew, Angel (guest star Evan Ross), and Ayanna’s assistant (guest star Elijah Kelley). Guest Cast: Evan Ross as Angel Rivera, Elijah Kelley as Andy, Nealla Gordon as Arlene Morgan, Imani Lewis as Karen, Lance Gross as Maurice Jetter and Richard Roundtree as Charles Floyd. Air Date: Wednesday, Nov. 8 (9:00-10:00 PM ET/PT) on FOX. A rattled Star is reeling with emotions, while dealing with the sudden reappearance of her father. A huge opportunity for the girls to perform at the record label party is put into jeopardy after they react to learning that Ayanna has hired Rachel Wells (Paris Jackson) as the label’s new social media strategist. Meanwhile, Derek struggles with facing the truth about his fate; Carlotta finds a place of solace; and Cotton begins to bond with her father, Jahil, over their shared pain. Guest Cast: Elijah Kelley as Andy, Paris Jackson as Rachel, Juanita Jennings as Grandma Ruby, Imani Lewis as Karen, and Lance Gross as Maurice. Air Date: Wednesday, Oct. 18 (9:00-10:00 PM ET/PT) on FOX. While preparing for an upcoming TV appearance with recording artist Noah Brooks (Luke James), the girls quickly learn that they will be singing backup instead of co-headlining the performance. The girls receive a rude awakening when the fierce new label head, Ayanna (Michael Michele), demands they re-brand their image in order to have a shot at competing with the label’s other talented artists. A disgruntled Star chooses to take matters into her own hands, causing tensions between her and Carlotta to escalate. Meanwhile, Alex, Simone and Cotton all struggle with adjusting to some major life changes. Guest Cast: Evan Ross as Angel Rivera; Elijah Kelley as Andy; Elliot Wu as Jack Yang; and Paris Jackson as Rachel. Air Date: Wednesday, Oct. 4 (9:00-10:00 PM ET/PT) on FOX. While still dealing with the repercussions of Hunter’s death, Star goes to great lengths to assure that the group gets a release date for their album. A frustrated Simone struggles with bullying and Alexandra moves in with Derek despite the hardships they’ve experienced. Meanwhile, Carlotta faces difficult decisions when it comes to managing the group, causing the STAR and EMPIRE worlds to collide as Jamal Lyon (guest star Jussie Smollett) is sought for advice. 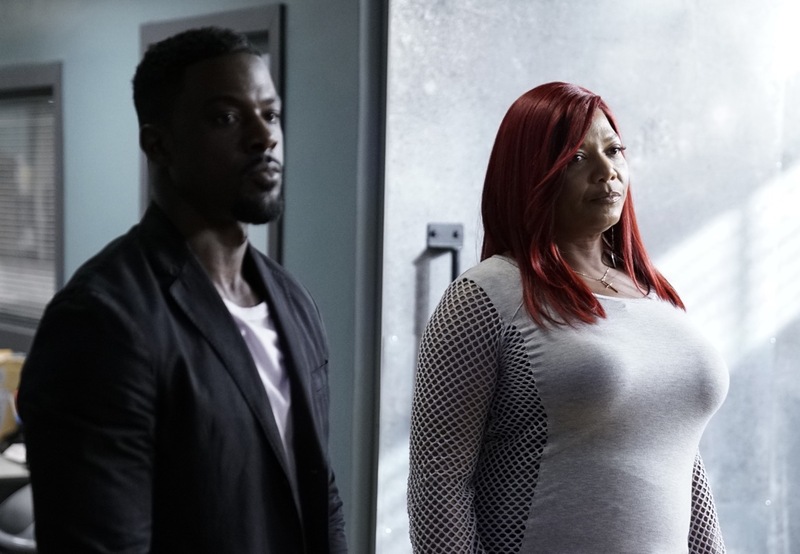 Guest Cast: Jussie Smollett as Jamal Lyon, Tasha Smith as Carol Hardaway, Imani Lewis as Karen, Mike Epps as Jay Holland, Kareem Grimes as Omari, Juanita Jennings as Grandma Ruby, Naomi Campbell as Rose, Jack Yang as Elliot Wu, Nealla Gordon as Arlene Morgan and Lance Gross as Maurice Jetter. Air Date: Wednesday, Sept. 27 (9:00-10:00 pm) on FOX. The story of three girls’ rise to fame, STAR’s first season ended on the heels of a victory, as the singing trio caught its first big break – winning Atlanta NextFest. Heading into Season Two, one thing is clear: their lives will never be the same. It’s a whole new world for the girls, as STAR (Jude Demorest), ALEXANDRA (Ryan Destiny) and SIMONE (Brittany O’Grady) prepare for their next career move, with help and guidance from CARLOTTA (Queen Latifah), the group’s new manager. Having entered into a deal with Midtown Sound, the girls and Carlotta must contend with upheavals at their new label. Meanwhile, after a harrowing stint in prison, COTTON (Amiyah Scott) must find a way to re-enter society as a convicted felon. And, with DEREK (Quincy Brown) facing the possibility of never walking again, Alexandra must work to keep their romance alive, while balancing her own career goals. Finally, the fate of JAHIL (Benjamin Bratt) remains decidedly unclear, following last season’s shocking and explosive finale. In addition to its ensemble cast, the series has featured a star-studded roster of guest stars, including Grammy Award winner Lenny Kravitz, supermodel/actress Naomi Campbell, Grammy Award-nominated musician and actor Tyrese Gibson, empress of soul Gladys Knight, Grammy Award winner Missy Elliott, Grammy Award-nominated artist Big Boi and Paris Jackson, who made her acting debut on the series.